You are at:Home»News»PVRIS announce first ever UK Headline tour for 2016! PVRIS announce first ever UK Headline tour for 2016! 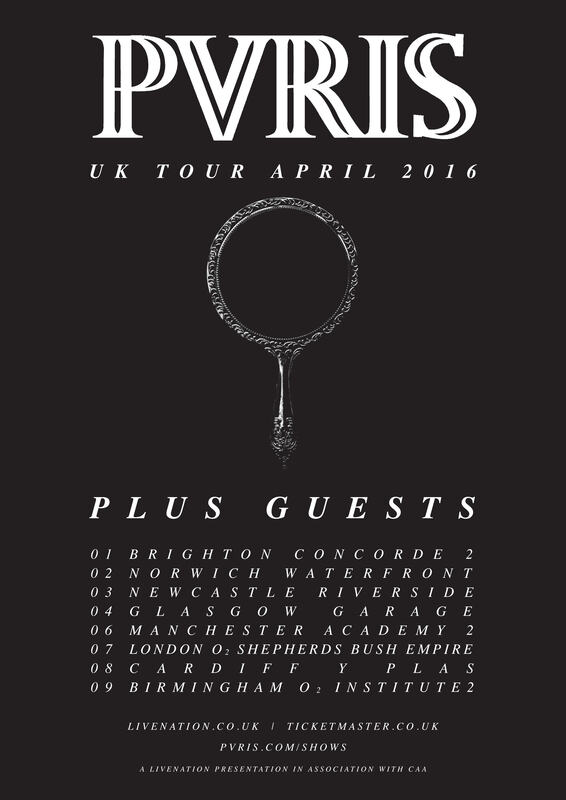 PVRIS are excited to announce their first ever headline tour in the UK for April 2016! This follows a massive year of magazine covers, BBC Radio 1 playlists, winning ‘Best International Band’ at the Kerrang! Awards, announcing tours with Fall Out Boy and Bring Me The Horizon and more. PVRIS have recently released the single ‘White Noise’, taken from the bands breakthrough debut album. The “Poltergeist”-inspired video has already had over 1.7 million views to date. You can watch the video above!